The network operated in multiple languages and targeted multiple regions, including South Asia, East Africa, and West Africa, as well as countries such as Indonesia. In some cases, the network directly reproduced Iranian state messaging, steering social media users towards websites, which repurposed content from state outlets and passed it on as their own. This article sets out the top takeaways from the takedown. In the interest of transparency and of preserving the activity of this network for future study, the detailed evidence is set out in a separate deep dive. The pages targeted countries and communities around the world, but had a particular focus on Indonesia, India, and Africa. They covered at least 15 countries and a dozen languages. The sheer scale of the operation, combined with assets which were taken down in earlier clean-ups, suggest that this was a state-backed effort. 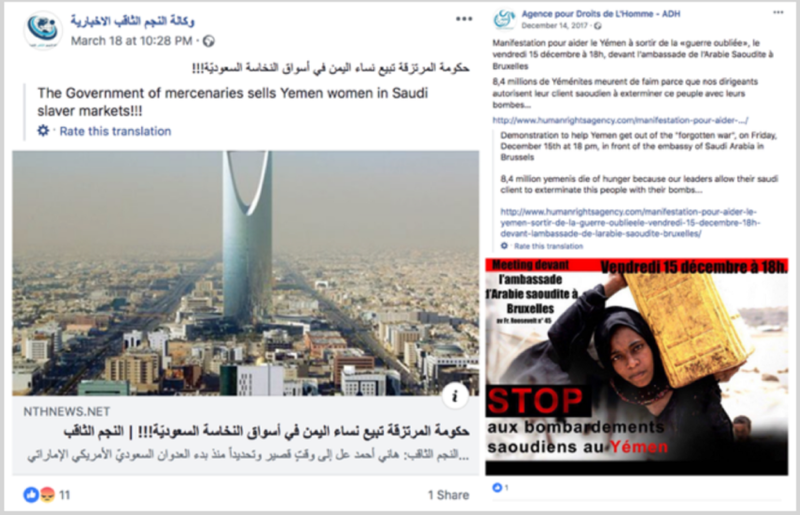 The pages routinely amplified Iranian state narratives, targetting Israel, the United States, and Saudi Arabia, especially for their roles in the Middle East, and focusing on the Yemen and Palestine conflicts. 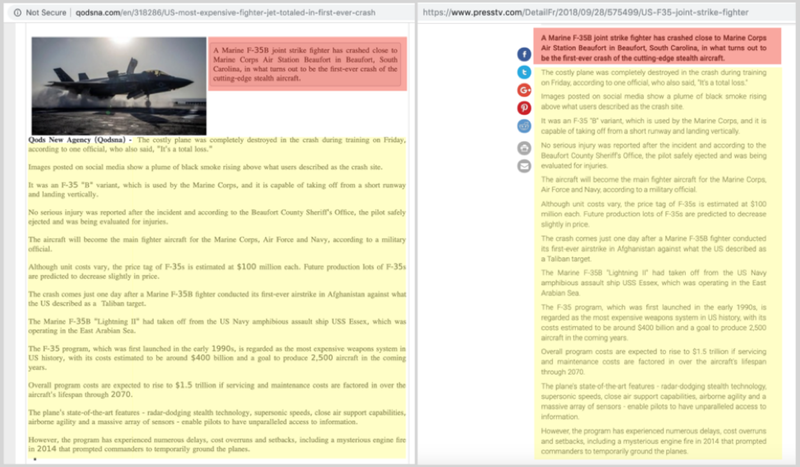 The pages often shared articles from websites which reproduced, verbatim, content from Iranian state or state-allied outlets, such as PressTV. 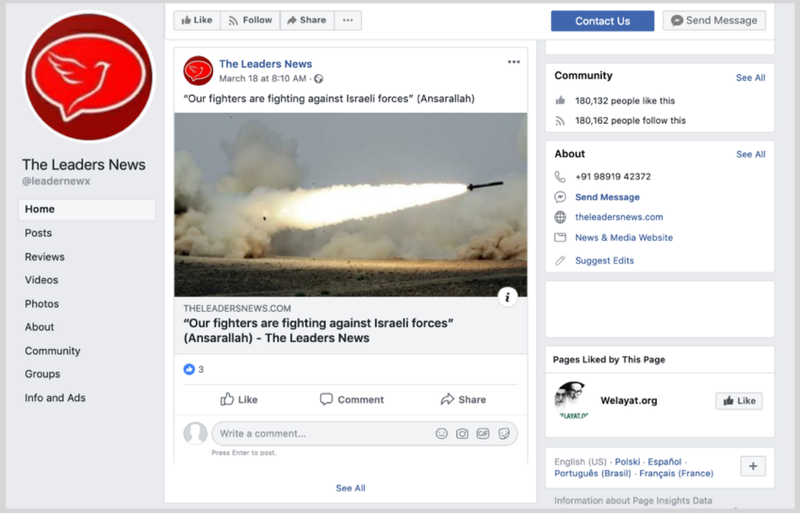 They functioned as a virtual laundromat for Iranian propaganda, stripping it of its attribution and passing it on to unsuspecting readers as an independent product. 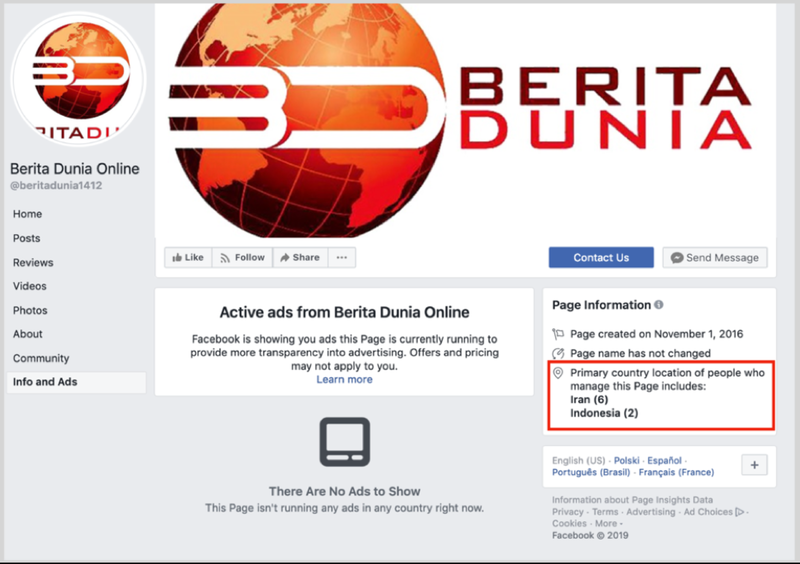 Despite their focus on a wide range of countries, and their claims to be based in those countries, most of the pages were largely run by users in Iran. In general, individual posts had low impact and scored little engagement. Some of the pages boasted large numbers of followers, but these appeared not to engage with the content, and may have been acquired fraudulently, by taking over or repurposing popular pages on unrelated issues. The operation strongly resembled an earlier operation called the International Union of Virtual Media (IUVM), which the DFRLab exposed in August last year as a key launderer of regime messaging. Facebook did not attribute the operation to IUVM directly, but the latest operation used the same techniques and pointed to some of the same websites, making attribution to the same network likely, although not confirmed. Daniel Weimert is a Mercator Fellow currently assigned to the Atlantic Council’s Digital Forensic Research Lab (@DFRLab).